We’ll start with some context. I first saw ‘Earthshock’ at a young age when I was staying at my aunt and uncle’s for the weekend. It was a dreary Sunday morning and there was nothing on the TV. After a quick flick through the TV Times I noticed that Doctor Who was on UK Gold. We didn’t have Sky at home so this was something special. Finally a chance to see some classic Who without having to fork out for another bloody VHS (the BBC had stopped the repeats long ago). And to top it off, it was ‘Earthshock’. ‘Earthshock’! The one with the Cybermen! Where thingy gets killed off! I’d heard it was awesome so I couldn’t miss it. I begged, I pleaded, if I’d had any pocket money left I would even have bribed. Eventually the grown ups relented, much to the grumbling of my sister and cousins. I got my own way, settled in and watched ‘Earthshock’ for the first time. Oh boy, was it a horrible experience. At first things were going fine. The Doctor was dashing about saving people, Tegan had turned the nagging dial down, Adric wanted to leave (yay) and silly soldiers were getting liquidated into goo by androids. Mint! But slowly I began to notice this odd noise in the background: sniggering! My family were all sniggering, pointing out the naff effects to each other, mocking the stilted acting, dismissing it all as a bit rubbish. Trouble was I slowly started to realize that they were right. I could see it all now. My innocent eye had been brutally forced open. The effects were laughable. The acting was often overwrought. And none of it made any sense. From that point on Doctor Who was ruined for me. Since then all I could see was cardboard sets, bargain shop special effects, tin foil monsters and hammy actors. It was the beginning of the end. After a life time of commitment I started to drift away from Doctor Who. ‘Earthshock’ is for better or worse a classic, infamous for featuring the death of a (much loathed) companion and reviving a classic foe after years spent in the wilderness of the BBC props department. Peter Grimewade’s direction was a shot of pure adrenaline that the show needed. The cast are more than up to the challenge with only a few exceptions (see below). The design work has a nice post-Alien vibe to it. And someone seemed to have finally discovered the ‘Adjust’ button on the lighting controls. It’s far from perfect. Like many Eric Saward scripts the plot doesn’t so much flow as hopscotch. One minute we’re underground battling androids and before you can say ‘reverse the polarity’ we’re on a cargo ship in deep space with barely enough time to catch our breath or make a cup of tea. 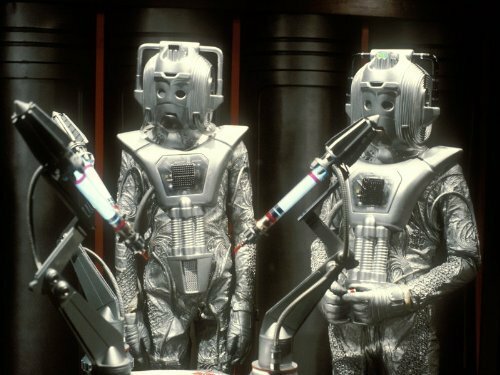 The Cybermen, despite the bold makeover, are a little too hammy for a bunch of supposedly unemotional cybernetic dullards. Beryl Reid is hopelessly miscast as a stern starship captain (never has JNT’s wild stunt casting been more blatant). 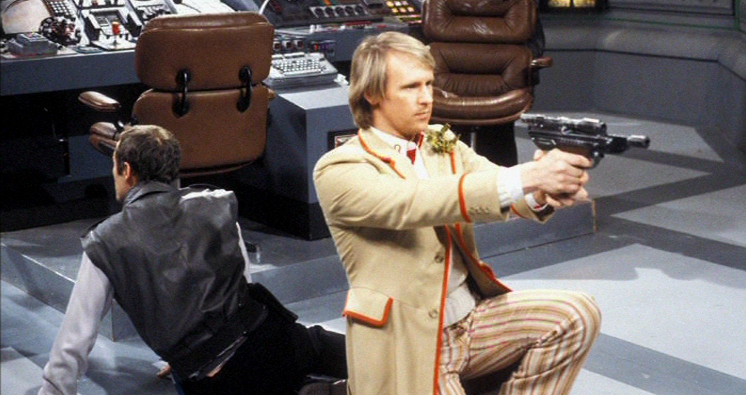 And the Doctor has got a gun. This always seems to happen whenever Saward is behind the typewriter. And then there’s Adric. Companions of the Doctor rarely ever die, mostly because this is a family show and there are kids watching and you don’t want to traumatize them (unless you are Steven Moffat). 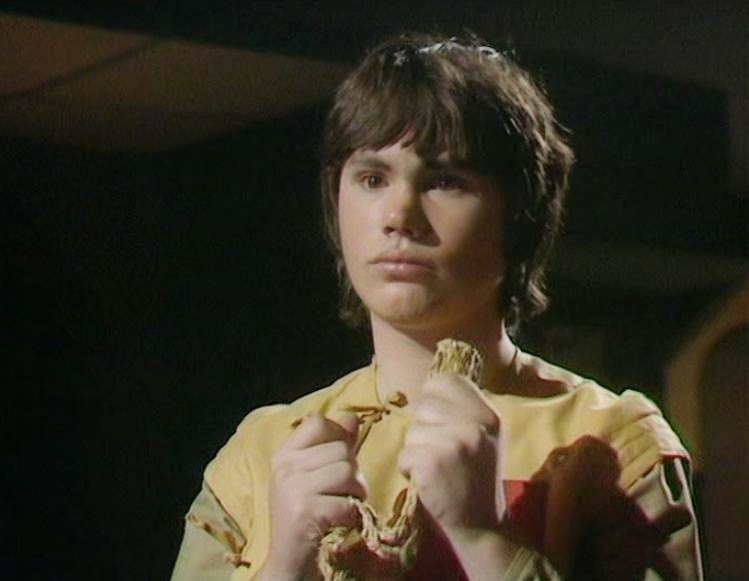 There’s little risk of that when it comes to Adric. Of all the Doctor’s companions he’s the most despised, loathed and generally hated. From the moment he was introduced I’ve hated him with a burning passion and was overjoyed to finally see the back of him. The more times I watch his death scene the louder I find myself cheering when the irritating maths wiz gets blasted into prehistoric Earth. Don't worry, Matthew, Greggs are hiring. --Episode 4 is the only episode of the entire series in which the main theme is not used in the end credits. --Seriously, Beryl Reid as a starship captain? That's like Betty White being put in charge of the Galactica. Only not as awesome. 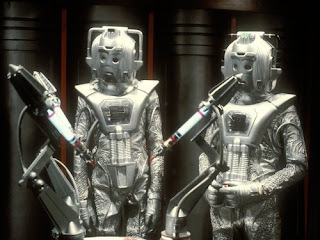 --Producer John Nathan Turner went to great lengths to keep the Cybermen's appearance in this story a secret. Nyssa: "Oh dear, it's all getting rather silly, isn't it?" The Doctor: "Brave heart, Tegan." Cyber Lieutenant: "A Time Lord? But they're forbidden to interfere." Cyber Leader: "This one calls himself the Doctor – and does nothing else but interfere." Tegan: "I'm just a mouth on legs." Three out of four shattered gold stars for mathematical excellence.